Ideal for the education marketplace where there is a high frequency of lamination and a broad range of applications. Makes use of Nap I or Nap II roll film and is perfect for high frequency of lamination. 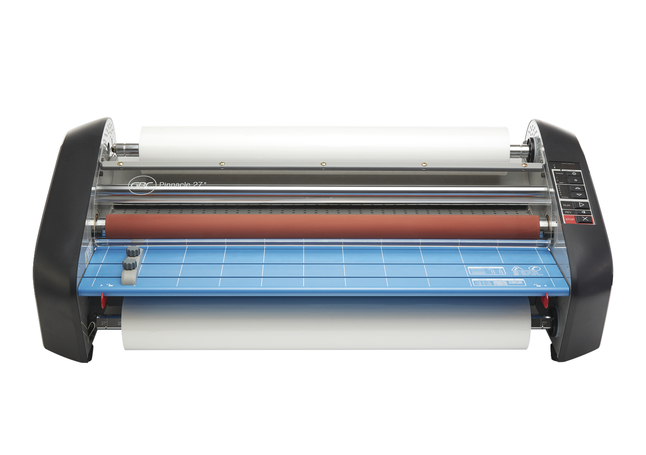 Laminator featuring innovative Accutherm heating system offers fast warm up and consistent heating. Model number 1701700.